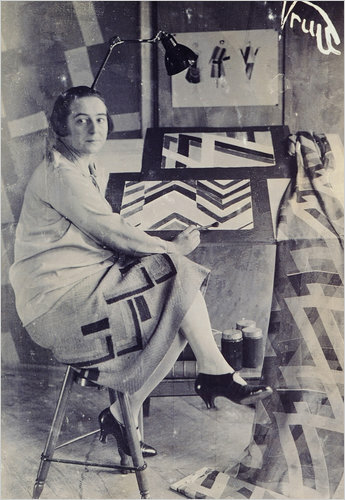 Sonia Delaunay was born in Russia. Her name at birth was Sarah--Sonia is a Russian nickname. Before she was married to Robert Delaunay, she was married to a Parisian art dealer. While Robert painted, Sonia supported him and she started applying colors, to design and made simultaneous fabric, clothing, furniture, environment, and cars. She opened a boutique, went on to design rugs, tapestries, costumes, and sets for operas, ballets, and films. 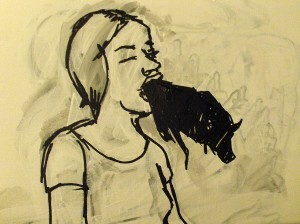 What interests Sonia about color is its ‘’movement’’ as the generator of the new space in modern painting. To achieve this movement, she uses both complementary colors and clashing colors such as red and blue. The theory of color that she developed with her husband, Robert Delaunay, Simultanism played an important role in her designs. She applied their ideas about color to design and made fabric, clothings, furniture and cars. Sonia Delaunay’s work with textiles and embroidery, shows forms that are broken down and emphasizing the structure of the surface she was working on. The simultaneous dresses she made were a reaction to the “drabness” of the fashion at the time.